The Smart Country platform presents Russia’s Top 100 People in Digital. Who creates talent for the digital economy? Where are successful digital projects implemented? Please note that some participants have been added to several categories at once, due to the nature of their professional activities. Venture investor, visionary, entrepreneur in the field of innovations and blockchain technology. One of the most prominent business angels in Russia. Graduated from Moscow State Institute of Electronics and Mathematics, and Higher School of Economics. Received an MBA degree at Stockholm School of Economics. Started his career as project manager and web architect, quickly advancing to top managerial positions in the field of e-commerce. Worked for MAR Consult, followed by the Online Marketing Director’s position at Acronis. Marketing Director at Mail.ru Group, responsible for all media campaigns. Launched several digital projects of his own. In 2017, launched Universa blockchain platform and protocol, which was named the blockchain startup of the year by Russian Crypto Awards. Borodich also managed the School of Economics and Mathematics at the Moscow State University. Director of “Business Acceleration of Blockchain Projects” education program at Plekhanov Russian University of Economics. Currently teaching students at Higher School of Economics and giving lectures at Moscow State University. The special project was developed with the involvement of: Olga Kutsenko, Elena Gorbacheva, Marina Selina, Alexander Stolyarov, Dmitry Fyodorov. 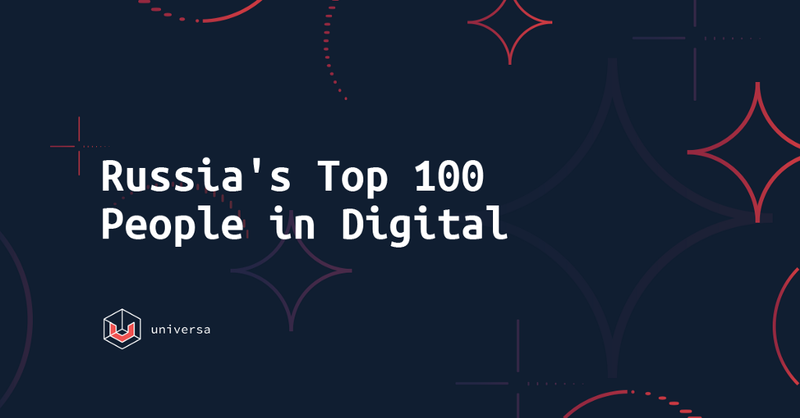 Russia’s Top 100 People in Digital was originally published in UniversaBlockchain on Medium, where people are continuing the conversation by highlighting and responding to this story.